Product prices and availability are accurate as of 2019-04-19 19:14:02 EDT and are subject to change. Any price and availability information displayed on http://www.amazon.com/ at the time of purchase will apply to the purchase of this product. The ADC Tuning Fork-128 features : Non-magnetic, corrosion resistant aluminum alloy construction. 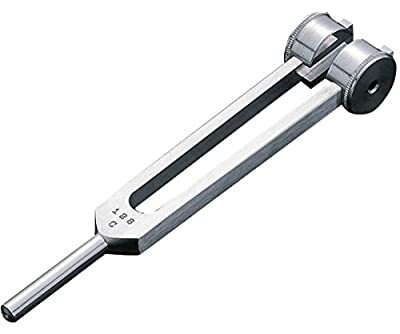 Weighs 1/3 of comparable steel tuning forks. Produced from 3/8" x 1" bar stock for superior performance and consistent frequency accuracy. Extra long 2" handle of turned smooth aluminum to facilitate bone conduction tests.